Martinook tallied an assist, four shots and five hits during Monday's 5-0 victory in Game 3 against the Capitals. Martinook has had a strong campaign, with a career-high 15 goals and tied for a career-best 25 points in 82 games. 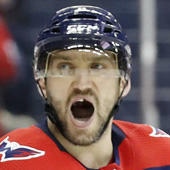 The rugged winger is a valuable forechecker on Carolina's third line but has limited fantasy value in standard formats.